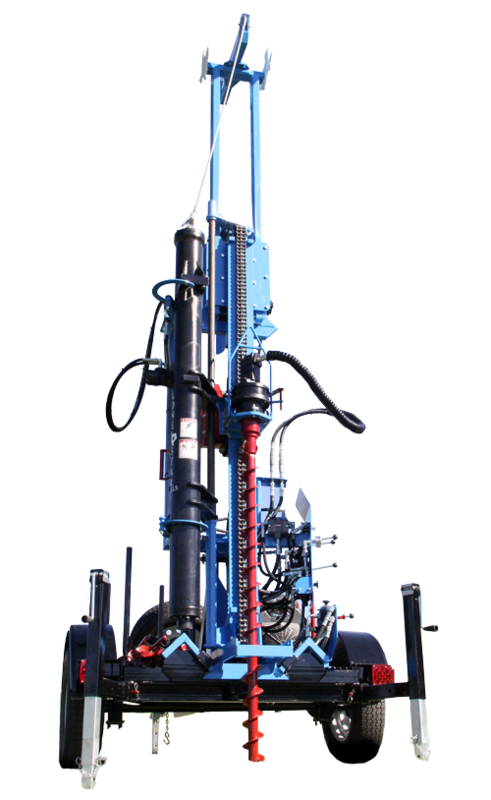 The LST1G+HDA, the newest of Lone Star Drills’ geotechnical rigs, addresses the growing need for automatic hammers for soil sampling applications. The automatic hammer’s design ensures precise, foolproof sampling depths as well as easy operation. The drill includes a hydraulic winch with 1,500 pounds of pull and features a planetary reduction gearbox with up to 1,100 foot-pounds of torque. This model comes standard with a 3,000-psi hydraulic system and 27-horsepower Kohler EFI gas engine. A rotary speed of 100 rpm is achieved with a 12.5-gpm hydraulic power pack.